Here we consider the first steps for learning how to improvise on the passacaglia. We begin by learning the bass line and a few ‘guidelines’, melodies which sound good with the bass. Then we begin improvising in different time signatures with different rhythms, characters and variations. This worksheet is part of our online improvisation blog with youtube video playlists of improvisatory pieces, blogs with background information, ideas to develop your listening skills, and more. Ask us a question or give us feedback: that helps us! Share our page with others to help us even more. In general the Passacaglia refers to a slow piece with a repeating bass pattern and harmony belonging to it. The passacaglia spread through Europe with the new fashion of guitar playing. The basses and chord patterns of the passacaglias which are written down differ a lot, there was no standard passacaglia. 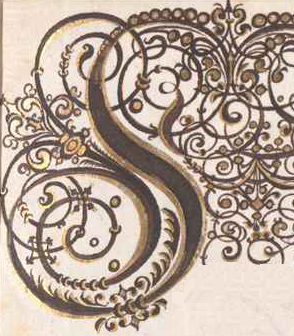 Here we use the form that is common in passacaglias by Biber, Monteverdi and Frescobaldi. For those interested there is a free article on the difference between the passacaglia and chaconne. In the 17th Century the Partimento School developed in Napels and spread throughout Europe. A partimento is a bass melody which is a recipe for a composition or improvisation. The Partimento school teaches the students step by step how you can compose and improvise by learning even smaller recipes which can be put together to form the larger recipes, so that in the end you can make your own. One must know how to boil potatoes before you can make a dish with them. For bookworms, the book “Music in the Galant Style” is interesting. Many recipes are described here and the book shows that 18th Century music is a conglomeration of these (you will hear these everywhere, even in popmusic in the supermarket). Our passacaglia is here called the “Prinner”. Read more about the Prinner here. The Passacaglia is our first recipe. First, you must know the notes of the bass. We are going to use the pattern shown below (A, G, F, E). It is also forms a part of the ‘Rule of the Octave’, one of the most famous skeletons for improvisation. If you play a transposing instrument, such as the clarinet, you can begin on what A is for you if you are playing by yourself. If you improvise with others, you must decide what the first sounding note is. It is in any case a good idea to transpose this bass and the following exercises, and play them in different keys. If you are not so used to naming keys and the number of sharps and flats, don’t worry! Simply try to play the melody so it sounds exactly the same, then you have transposed it! This also helps you to become more used to the instrument, you learn scales better and can therefore improvise better. We are busy with a computer programme that can help with transposing, accompanying and making suggestions, but it is still in development. More news soon. Assignment: Play this bass line a few times for yourself and play each note beautifully, rhythmically and with a good length. Think of the four notes together as a phrase, and give a small breath between repetitions. We will not go into technical details as to why some notes sound better than others, but instead suggest a practical method to learn how to improvise on the passacaglia. First we learn a couple of things by heart and then we can improvise using that as a basis. That is typical of early music. It is about learning ‘clichés’, which is standard practice still in jazz, and also in theatre (commedia dell’arte). If you know the clichés, you can make your own variations and create your own ideas. Assignment: Play both melodies a few times. Here you will find a link to the accompaniment. It might seem tedious at first, but it helps for tempo, tuning, and being sure of the correct notes. Put the accompaniment loud enough that you can hear it. It is a good idea to wait one round (four bars) and then play once. This enables you to prepare for the following round, imagine what you will play, and breath. If you feel comfortable you can continue, and play with when you play and when you rest. Listen to the example of Biber below, where you can hear that the bassline sometimes returns alone. The above idea for a second voice works well, but is really the same melody. An easy third voice that does something different can begin on the fifth (in our example an E), and holds this note. In the third bar, the E becomes dissonant with the F, so we solve this by moving one tone lower, to the D. Give the dissonance a small accent, and play the resolution a little softer. This is a tried and tested method often used in Jazz– if by accident you play a not that sounds strange, play it a little louder and resolve by moving one tone lower. Assignment: Now play this in different keys. The example on the left is in d minor and the one on the right in b minor. Of course you can also play in major. This is a fun way to practice scales! Your hearing improves and you also play written pieces better. Many people hear music in their head and have good, original ideas. But, how do you then transfer that to the instrument? This is an important step in the process of learning to improvise. On one hand you hear how the good notes sound and on the other how the sound in your head feels on your instrument. You can find other voices/melodies by listening and looking at examples in written pieces (see for example our youtube passacaglia playlist). You can also create new melodies by playing each bar a different note from each of the above written and learnt melodies. It is also called ‘bastarda’ if you improvise a new voice by springing from one voice to another in a contrapuntal piece. Below we took the first note of the third voice, the second of the bass, and the last two from the second voice. Note that in this case, this voice does not work together with the second voice, but is an alternative to it: Otherwise, parallel octaves result, because the last two notes are the same in both parts. An exception to this rule would be though, if the bastarda voice is played on a solo instrument and the other voices on a keyboard instrument. In this setting, some doubling of the melody in the keyboard is normal, and does not sound like a mistake. First practice the above melodies with the accompaniment. You can also record the bass yourself, or invite someone for a cup of coffee, cake, and the passacaglia. Be aware that you play exactly in time with the accompaniment. Pay attention to tempo and rhythm above all. As well as practicing with a metronome or computer accompaniment, it is also good to practice that the rhythm is in your body. You can practice this way: you can usually turn the sound on or off. Put the keyboard by your feet, and begin to play. Sometimes turn the sound off for a few bars and back on again, and see if you end up together with the accompaniment. Now that we have melodies in our head and fingers, and have practiced in different keys, we are ready for the following step. This begins with your own input. Do you want to play the melody in 6/8 or in 2/2? And what is the difference? In early music the beginning of the bar is slightly more important than the middle or the end (there are many books until the end of the nineteenth century which state this). Here is an example. A Largo in 2/4. This piece is a little sleepy, but still flowing. You can imagine that, after a tiring day, you return home to rest. The presto in 3/8 is a little agitated, and the bass we have added a rhythmic counter motive. You can imagine that after sleeping at home, you suddenly realise you had an appointment with your boss on the other side of the city, and you’re late. Assignment: Take one of the melodies and decide on a time signature and a tempo. For example, in 3/4 , very slow. These decisions help to give your improvisation to have a certain character. Emphasise this character in the way to play, it is that simple! Simple music played with conviction is often the most effective. As you can see below, you can also play with a rhythm. Equal or unequal notes, fast or slow. With this exercise it is good to count yourself in, so that the tempo is in your head already. Improvisation feels different and it is sometimes difficult to make the switch. So prepare in your mind before you make a sound, imagine it and only then play it (also good for written music). What often happens in music of the time, is that with one repetition of the melody (and bass), mostly the same motive is used. Bach often used the same motive for an entire piece, and also Sweelink. This is typical convention which you can use to make your improvisations more ‘baroque’. This is also a good exercise, because it means you must know the rhythm or motive very well. Assignment: Think of a rhythmic motive and use the same for each bar (each chord). Also, try it the other way around. Look at this list of characters for improvisations: with what time signature, tempo, and rhythm can you achieve that? This gives you another insight into written music which you play. Tip: If you don’t have an idea for a rhythmic motive, think about your name or other words. For example, Pineapple (quarter note and two eighth note). This step is not possible for all instruments. It is typical mainly of string instruments in the solo pieces of H. I. F. Von Biber and J. S. Bach, but also sometimes for wind instruments, for example in the fantasias of G. Ph. Telemann. The following two examples both use the passacaglia as a starting point. N.B. as already stated, there are many forms of the passacaglia. The pieces included in the playlist have a repeating harmony that is seen as a passacaglia by the featured composers. The exact notes vary from piece to piece. The principle is simple. You first choose one of the melodies. Then for each bar you first play the bass note (melody 1) and then the chosen melody note. 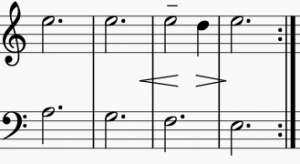 In the following example, you can see below the melody and bass written out, and above a melodic combination of the two lines. Listen once more to the passacaglia of Biber and you can hear that the bass is played almost constantly while one or two melody lines are suggested. Step 4: Adding variations to your passacaglia improvisation. Now it is time to add other notes. Be sure to start this only if you are rhythmically secure with the above exercises. Use the recordings given above to check. The first step is one note higher and/or one note lower. For example, chose a rhythm (motive) and instead of playing three times the same note, play the second note one note higher and return. It is important that you play the same note at the beginning and end of the bar. If you only play two notes you will not be able to get back. In the last example, you can see that the main note also returns on the third beat in a 4/4 bar. This often sounds best, but is not always necessary. Assignment: Experiment methodically with the above, becoming gradually freer. Record yourself, listen to how it sounds and what other notes sound good. Assignment: For further ideas, look at our Passacaglia blog, with different pieces that you can listen and look at, and find new motives and structures we did not talk about here. Of course, it is possible to do much more! Come to our concerts, play with us in our jam sessions, look at our improvisation resources, ask for a workshop or take lessons!